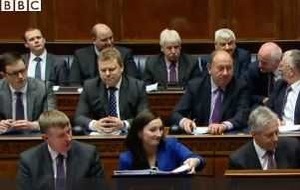 NORTHERN Ireland's First Minister has received a round of applause following his final question time appearance, joking he is not dead yet. 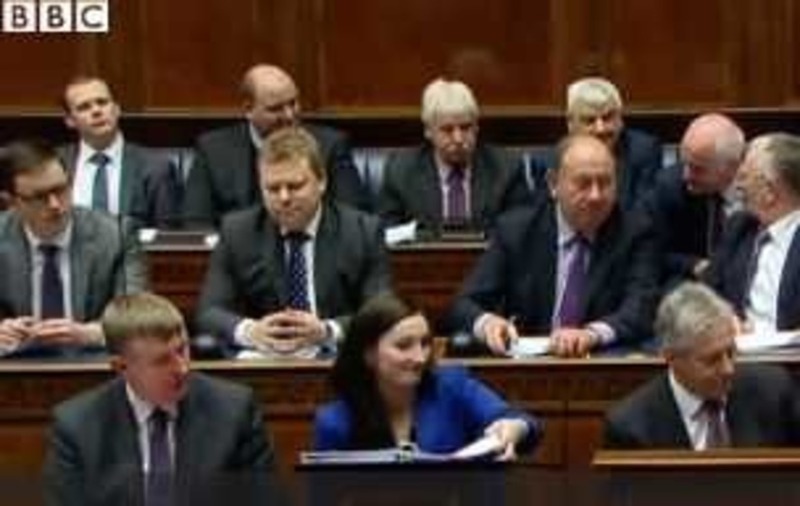 Peter Robinson, whose retirement is imminent, was also given a standing ovation from most MLAs in the Stormont Assembly. 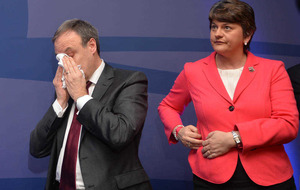 Although the 66-year-old DUP leader was heartened by the plaudits, he joked that he is not dead yet. Mr Robinson said: "I am grateful for the comments. "It has been somewhat of a surreal experience. "It is almost as if one was dead and listening to the obituary but, I am, I hope very much alive and will remain so for some time to come." Last week Mr Robinson ended months of speculation when he announced his intention to stand down within weeks. The move came just days after he signed a political agreement with coalition partners Sinn Fein and the British and Irish governments to secure the devolved power-sharing institutions. 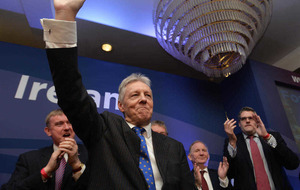 At his party conference in east Belfast on Saturday Mr Robinson, who has been a key figure in Ulster politics for more than four decades, said the time was right to bow out and let the "next generation" take over. He said the Fresh Start Stormont Agreement dealt with some of the region's most intractable difficulties including the scourge of paramilitarism and the impact of controversial welfare reforms. Among those who led the tributes was Lagan Valley MLA Paul Givan, whose grandfather helped found the DUP in the early 1970s. 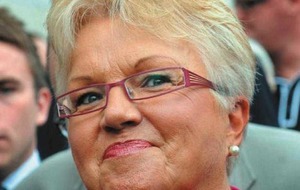 He said: "Peter Robinson transcends three generations of my family. Like him, my grandfather was a founding member and I want to thank him for the legacy that he has left us and left Northern Ireland more secure than ever before within the Union. "Can I thank him too, personally for the support that he has given to me and also the opportunity. It has been a privilege to serve with him in this Assembly." North Antrim MLA David McIlveen recognised his "four decades of faithful service". He said: "I have no hesitation in saying that whenever books are being written about Mr Robinson many of his critics will be lucky to get a footnote. "I want to pay tribute to him in the strongest of terms and wish him every blessing for his retirement." 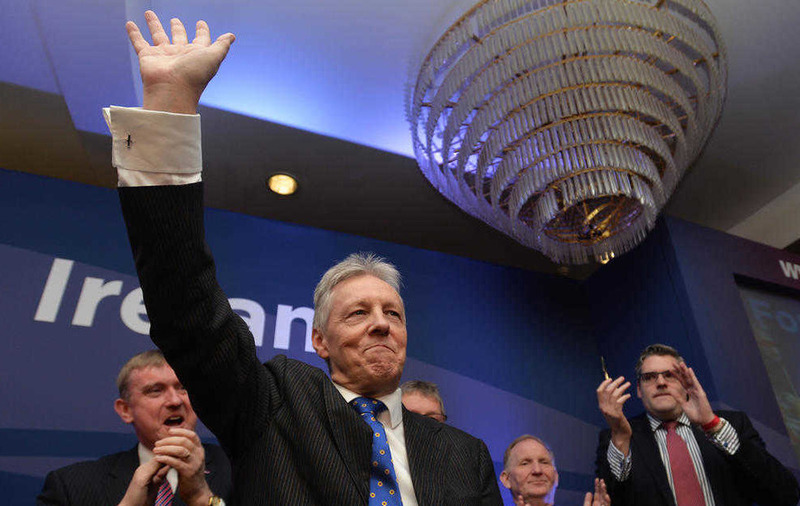 Peter Robinson has been First Minister since 2008 after replacing firebrand preacher Ian Paisley following his retirement. Although he suffered a heart attack in May and returned to the cardiac unit after taking an adverse reaction to medication in September, he has insisted the health scare did not hasten his decision. Among those who also paid tribute was arch critic Jim Allister, a former DUP MEP who split from the party when it agreed to share power with Sinn Fein. He wished Mr Robinson a "long and healthy" retirement. Assembly Speaker Mitchel McLaughlin of Sinn Fein also wished him well. He said: "Best wishes to the First Minister. Thank you very much."